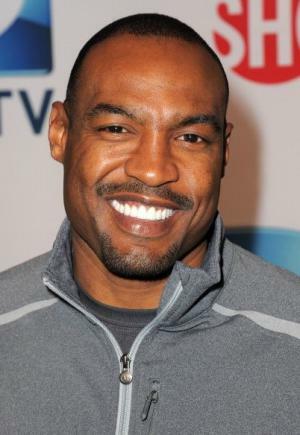 Darren Woodson, born on 25th April 1969, in Phoenix, Arizona USA, is a retired American Footballer in the safety position, who played 12 seasons in the National Football League (NFL), for the Dallas Cowboys, winning three Super Bowl rings during his stint. His career began in 1992 and ended in 2003. Have you ever wondered how rich Darren Woodson is, as of late 2016? According to authoritative sources, it has been estimated that Darren`s net worth is as high as $10 million, earned through his successful career as a football player. Also, since he retired from playing, he has become a sports analyst, and works for ESPN, which has also improved his wealth. Darren grew up in Maryvale, which is a West Phoenix neighborhood, with his mother; he went to Maryvale High School, and played football as a running back, earning All-Metro Division A and All-City honors during his time there. After high school, he enrolled at Arizona State University, from where he graduated with a degree in criminal justice in 1991. While in college, Darren continued to play football, and received several honors and accolades, including an honorable mention for All-Pac-10 honors in ’89 and ‘90, and was team captain in ‘91 among others. He was inducted into the Arizona Sports Hall of Fame in 2005. Darren`s professional career began when he was selected by the Dallas Cowboys in the second round of the 1992 NFL Draft; he stayed at Dallas for the next 12 seasons, before he decided to retire. In his first season he was a back-up option, and although he played in all 16 games, didn`t achieve any notable results. Nevertheless, the following year he became a starting safety, and set the season record for the franchise with 155 tackles as a defensive back, and soon he became one of the main players in the Cowboys` defense, and the team in the whole which won three Super Bowls in 1992, 1993 and 1996. He was also selected for the Pro-Bowl games between 1994 and 1998, while he was also named All-Pro three times consecutively from 1994 to 1996. He last played in 2003, after which he missed the whole 2004 season due to an herniated disc injury, which eventually forced him to retire. Darren finished his career with 1,350 tackles, 11.0 sacks and 17 forced fumbles. In 2015 he was inducted into the Dallas Cowboys Ring of Honor. Regarding his personal life, Darren was married to Juli Christine(1995-2010) – the couple has three children. He has been married to Tiffany Axner since 2014. Darren is also a well-known humanitarian, and he serves as a Board Member of the Make a Wish Foundation. 2 Linebacker/safety with the Dallas Cowboys, 1992-2003. 3 Recorded 1,350 tackles, including 787 solo; 11 sacks; and 23 interceptions in 11 seasons with the Dallas Cowboys. 4 37th player chosen in the 1992 draft out of Arizona State.